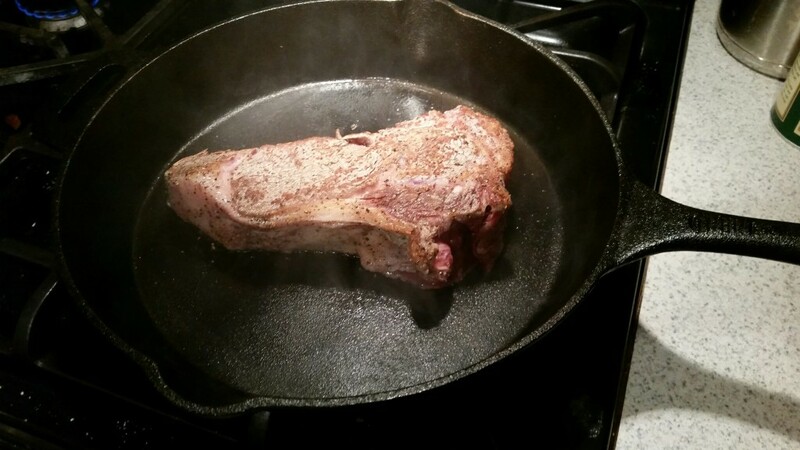 I have always wanted a cast iron skillet and finally purchased one the other day. Here is one of the recipes I prepared. 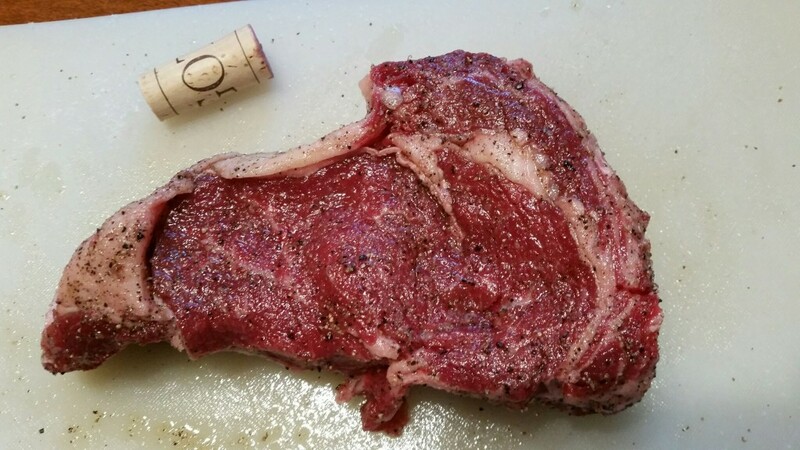 Start with the ribeye cut at room temperature. Rub on olive oil, and plenty finely ground sea salt and ground black pepper. First, heat the dry cast iron skillet in the oven for 500 degrees. Once the oven reaches temperature, place on a high burner for 5 minutes. 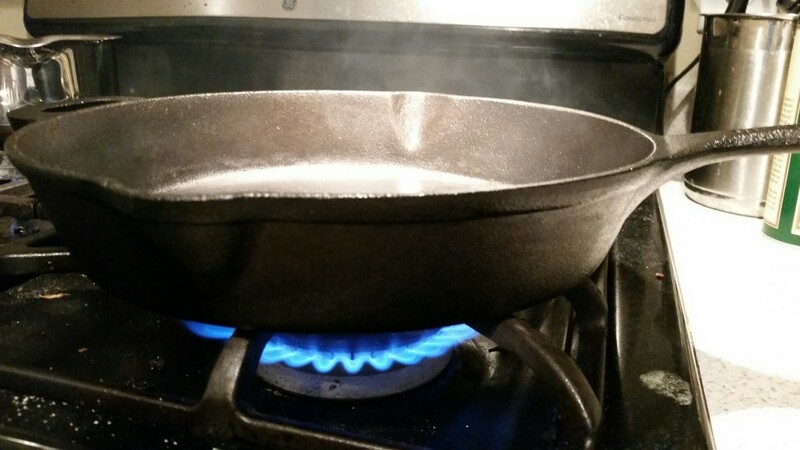 I use a super burner on my stove. 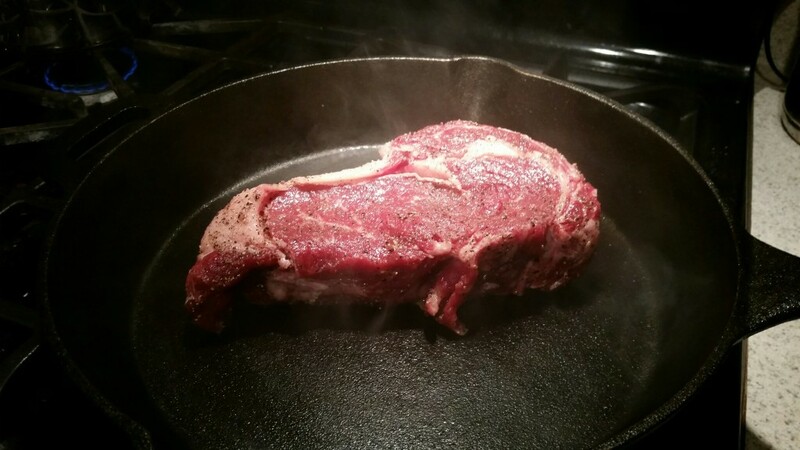 Sear the ribeye for 30 seconds per side. 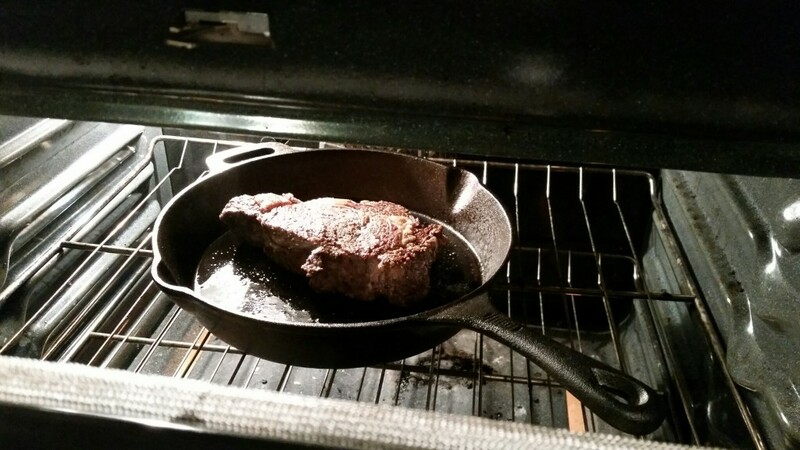 Next, place the skillet with steak in the oven at 500 degrees for 6 minutes per side This will cook to medium. 3 to 4 minutes per side will be medium rare. The cut is about an inch and 3/4 thick. Let the steak rest for 3 to 4 minutes tented with aluminum foil. 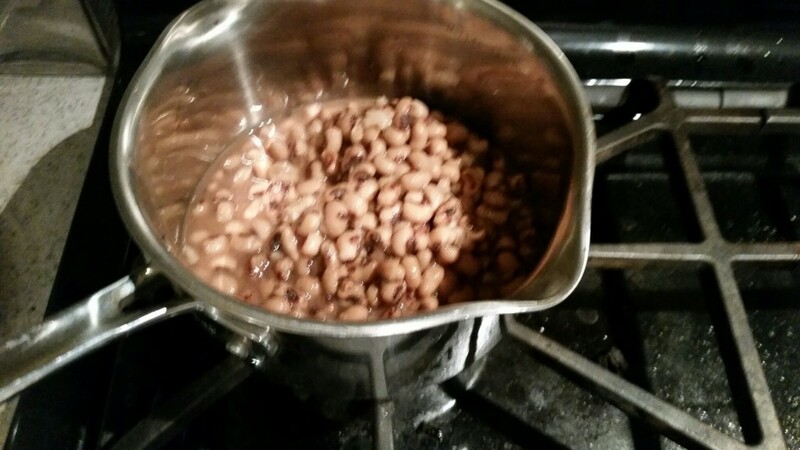 I complemented the steak with southern style black eyed peas.